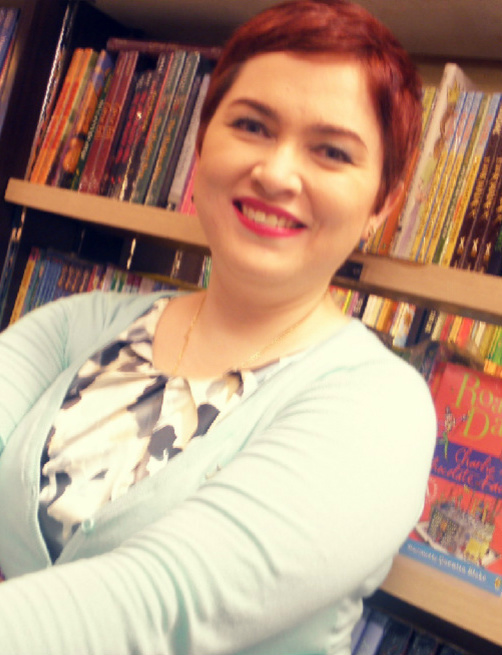 I'm delighted to welcome author, and my lovely friend, Kate Evangelista to the blog. Her latest novel is Romancing the Bookworm, and it's due to be released on July 9th. You can find its blurb, plus links to Kate's blog and social networking accounts, at the bottom of the interview. Q: Your upcoming novel, Romancing the Bookworm, is a new adult contemporary romance, whereas your earlier releases were young adult fantasy novels. What encouraged this change in direction? A: When I first started taking writing seriously, I actually began in the adult romance genre. But as I reached the part where it got steamy between the characters, I just couldn’t move forward. I remember blushing so hard. So, I backtracked and started writing young adult. Twilight was really popular at the time and I thought if she could do this then I can too. But as I kept writing YA, I felt like I didn’t quite fit into this genre as well…or should I say my characters didn’t quite fit in. Then New Adult burst onto the scene and I tried it and loved the experience. I could push my limits as a writer with the issues the characters go through or the situations they get into. I think I’ve found the genre I’m most comfortable with now. My not-so-little corner of the publishing industry! What can readers expect from Romancing the Bookworm? Is it a gentle tale of romance or something more sensual? It’s very steamy. There’s a scene involving waxing a surfboard that you won’t want to miss! Judging by your Twitter feed, you’re certainly a productive writer! How do you stay motivated? Do you have a day-to-day routine? I read somewhere that being a writer is giving yourself homework every day for the rest of your life. I’ve gotten to a point in my career where, if I don’t write something in a day, I get the shakes or I feel really guilty. It’s like you practice and you practice and, finally, you need to write or your day doesn’t feel quite right (it rhymes! *laughs*). As for a daily routine, I begin my day taking care of all my social media. I answer emails from my editors, come on twitter and reply to interactions, then I hop on to Facebook. Then, after lunch, I get cracking and write or edit well into the evening. Sometimes I have to force myself to stop because I won’t be able to go to sleep if I don’t power down. You’re currently residing in the Philippines. At any time, have you found that your location has made it more challenging to become a published author? I think the only challenge I face is access to conventions. I really want to attend RT and BEA one day. I’m saving up now. But, other than that, the internet makes being a published author so much easier. I wouldn’t change anything about where I live…right smack dab in the middle of a mango grove. Being in the middle of nature is really conducive to feeding my muse. Finally, what projects are you currently working on? Do you have any other genres up your sleeve? Lots. I’m in edits for the sequel to Reaping Me Softly called Unreap my Heart. I actually think of it as the real first book in the series and Reaping is the prequel to it. I can’t wait to show everyone Balthazar. I’m also editing my first dystopian New Adult called Impulse. It’s fast paced and adrenaline driven and really, really dark. I’m so excited about it. For Til Death, I’m deep into edits for that as well. And readers should watch out for Savor, Luka’s long awaited book. 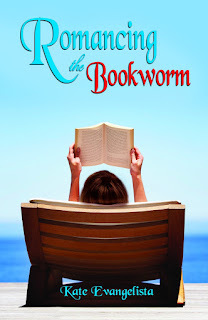 So while y’all are waiting, please add Romancing the Bookworm to your to-be-read list. Tamara and Xavier’s story is really something you need to bring with you to the beach! It's spring break, and Tamara Winters would rather stay on campus and read romance novels than flaunt her size-fourteen body on a beach. But her best friend, Ronni, has other ideas. Against her wishes, Tamara is whisked away to picturesque Maverick Bay, where she's wrangled into waiting tables with Ronni at the Shore Shack for its busy week leading to Maverick's Surf Invitational. There she meets fellow schoolmate Xavier Solomon, the Invitational's organizer and campus womanizer by reputation. From the moment Tamara sees him emerging from the waves like a hero in of one of her romance novels, all she wants to do is run away from the feelings he inspires in her. Little does she know Xavier has been watching her for weeks now. In fact, after failed attempts at asking her out on campus, he's concocted a crazy plan: fabricating romantic situations straight out of her favorite books. Xavier quickly realizes that if Tamara gets a whiff of his designs, he might as well spell CREEPER across his forehead. Yet as they grow closer, he's convinced it's a risk worth taking. What he hasn't planned on, of course, is his drug-addicted, alcoholic stepbrother, who decides to join the fun and put a wrench in Xavier’s scheme. Spring break is proving hotter than Tamara expected. Will her romance novels be able to compete? Life of Pi DVD giveaway – the winner! Happy Birthday, Life Between Pages!